Crisis Center “Podrugi” with the support of the UNESCO Almaty office conducted an HIV and AIDS awareness training for volunteer outreach workers, city law enforcement officials and community representatives on 10 August 2010. The training is part of the “Safe City Almaty” project launched by UN agencies in Kazakhstan, NGOs and the city of Almaty government last fall. Twenty-nine participants were trained on HIV and AIDS basics and received practical advice on how to approach labour migrants and employers, how to interest migrants in the topic of HIV and how to elicit positive feedback from those interviewed. Outreach workers also learned the basics of safe interviewing in the field. 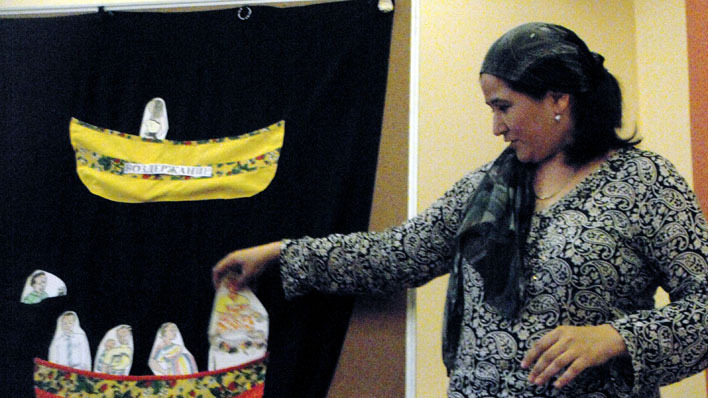 Representatives of the city’s Kyrgyz, Tajik and Uzbek cultural centers shared expertise on working with members of their ethnic communities in Almaty. At the conclusion of the training, outreach workers were presented with Uzbek and Kazakh traditional shoulder bags. The bags will be used to carry information on HIV and AIDS to distribute to migrants during the outreach campaign, including a self-assessment quiz. The migrant outreach project on HIV and AIDS awareness will take place over the period of August-October. 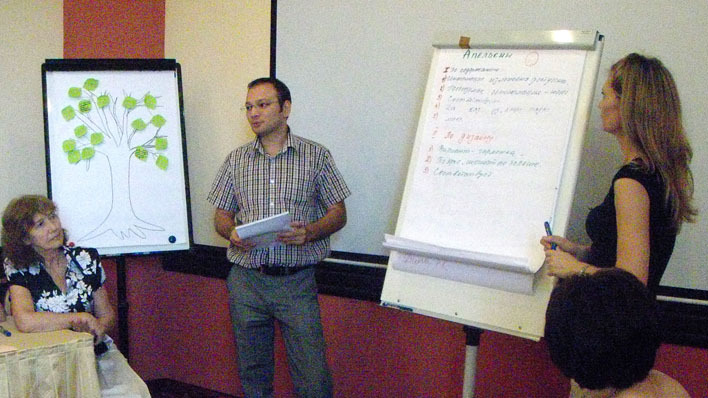 More than 700 labour migrants working in Almaty are expected to benefit from the project. For further information, contact: Crisis Center Podrugi, podrugi(at)alnet(dot)kz or UNESCO Almaty Office, almaty(at)unesco(dot)org.